Today—Halloween—my parents and I went out to lunch and then Mom wanted to do a bit of shopping next door. I finished long before she did, but I had what we call an entertainment device—an old-fashioned paper notebook to work on my writing in. So I went out to the parking lot and started pacing around the car and writing. I'd hardly put down three sentences when a man in a nearby car called out, "Are you drawing?" He laughed. "I didn't know what you were doing," he said. "I thought you were drawing on the run." "Writing on the run," I corrected. He smiled and drove off. Fast forward ten minutes or so. Still pacing (to work off a few of the lunch calories). Still writing (by hand). A woman approached me. "What the bleep are you doing by my car?" she yelled. Yelled. I was about two parking spaces away from her car. "And what the bleep are you writing?" My first tendency is to answer questions, and apparently that tendency holds through even with such antagonistic and crudely worded questions. "I'm just writing stories," I said. "And this is my car." I pointed to the vehicle hardly a foot behind me. With one last glare, she huffed into her car and sped off. What the heck? Now, it was Halloween. And I was in costume. But was I a scary devil or psycho butcher or vampire? No. I was Cinderella (pre fairy godmother). Not so intimidating. Has our society degenerated to a point where it's suspicious to write on paper? Do people walking through the parking lot texting on their phones get questioned twice in the space of fifteen minutes? Do people swear at them? Maybe what I should have said was, "I'm writing. I don't know if you know what writing is, but it's like texting on paper." What is to become of us? Nothing holds more danger than the things you think you know. Kallinesha, daughter of the High Commander, with glory on her mind and duty in her blood, knows many things. She knows that her father is the noblest man in the kingdom. She knows that hard work and study trump raw magical talent, even talent as strong as that of her cowardly commoner companion, Ista. She also knows that she can kill the ruthless Chaos Mage and prove herself worthy of her family name. Ista, daughter of a city baker, knows a few things too. She knows that Kallinesha has no heart and that none of the protectors can be trusted. Most importantly, she knows that her beloved mage mistress is never wrong, and sending them out here alone to face the Chaos Mage must therefore be right, no matter how it terrifies her. The man they pursue knows only that he won't let two inexperienced girls ruin everything. An imaginative child, Janey left childhood far behind as soon as older children and adults began to tease her for it. On her 30th birthday, the first Pulse hits and drives her to seek shelter in a one-of-a-kind indoor playland for grown-ups called the Imaginarium. When the place is attacked by urban looters, she becomes an unwilling 'defender of imagination.' Don't deny who you really are. This novella switches between Janey's modern-day story and the tale of Ozanne, a woman fighting to defend the magical Tanglewood. I enjoyed the clever parallels of the two stories, down to the main characters counting to ten—for different reasons—at the same time. I also like the brother/sister main character pairs. That's not the usual combo, and it's refreshing. I think the story might have benefitted from a little more development before leaping into the action, both so the reader can establish more rapport with the characters and to clear up bits of confusion. Some of the magic and motivations remain unclear throughout the story. The writing could be a little tighter, but I enjoyed some of the casual plays with words, like this, "I'd been in a me-and-a-tree auto accident." The imaginarium Janey and her brother are defending has some interesting details, like the staircase that plays different musical notes on each step. I would love to explore a place like that. Click if you want to read Defense Mechanisms. Visit Amber Michelle Cook's website. Q: Have you ever been to a place like the Imaginarium in Defense Mechanisms? If you could build one right now, what would your favorite part be? The Imaginarium is inspired by the City Museum in St. Louis, MO. One of my favorite places on the planet. There's more about it in the bonus material at the end of DEFENSE MECHANISMS, including a link to a video I made out of my pictures and video clips and put up on YouTube. Oh, I like this question. I love color and light, so there would be places to play with over-sized prisms of all shapes and sizes, overlapping colored light to produce endless varieties of chromatic shadows, and all kinds of things to do with (soap) bubbles. Q: When you write, do you make details plans or do you write by the seat of your pants? I fully believe in both. I adore NaNoWriMo for getting me to start writing stories without much conscious thought, because of all the unexpected stuff that comes out. But a quality story doesn't happen by accident. Plot and character arcs, good pacing and rising tension to an engaging finale with satisfying resolution is craft, it's skill, which involves outlining and analysis. There's joy in the initial execution, and power in the labor of rewrites and editing that together make it happen. Q: What can we expect to see from you in the future? I wrote for a long time before starting to release books, to make sure I had studied the craft well. Another advantage of this is that I have more books coming, and soon. My first two are novellas (urban fairy tales), these will be full-length novels. Flying in for her first job as a freelance consultant, the day turns into an ambush on Alice’s self-esteem when she finds herself effectively having two bosses. She gratefully escapes to Wonderland, where the Red Queen assigns Alice to a living chess game as a Pawn. With each ‘move,' Alice encounters colorfully eccentric characters who challenge her to the trials and tribulations of being shy in a quest to overcome self-doubt. In which Jane Eyre meets Gosford Park in Night of the Living Dead—where imagination and suspense reign over splatter-gore, and the knowing modern reader can enjoy accompanying unsuspecting characters down the road to the inevitable, while themselves encountering mysteries and unexpected twists along the way. And then I have another urban fairy tale, THE FAIRY TALE ABDUCTEES, to polish up and release. Q: What are some good books you've read lately? I've been reading Jack McDevitt's Alex Benedict series, which are far-future archeology adventure mystery stories. Good reads. I've read a couple by one of my favorite authors, Jasper Fforde, both his THE THIRD BEAR and SHADES OF GREY. NOT the erotica book by a similar name, but a highly imaginative satire where our future society is classed by the color spectrum people are able to see. THE THIRD BEAR is the second in his Nursery Crime series, which are more fun than a bag of wiener dogs. And Elizabeth Gaskill's NORTH AND SOUTH, a Victorian novel of class society, human nature and romance, where North and South are the clashing industrial versus the rural parts of England in the mid 1800s. Q: How can your readers contact you? 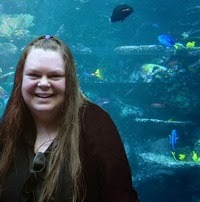 My website, www.ambermichellecook.com, has links for Twitter, my Facebook author page, the Goodreads author profile where people can message me, as well as a contact form. 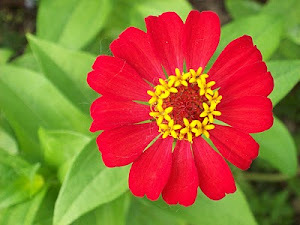 Thanks so much Melinda, and the very best to you and your blog! Fantastic book. Great first line: "It has been sixty-four years since the president and the Consortium identified love as a disease, and forty-three since the scientists perfected a cure." Love (amor deliria nervosa) is the root of all things evil. After the cure, love (and any strong desire) is gone. People are safe. But of course the government is totally repressive, locking up all resisters and sympathizers and not being subtle about it. I think that aspect could be a little more restrained, with a less cardboard-tyrannical government. But it's still great. As for the writing, I'm not sure what this fad is with the present tense. I generally find it annoying. Lauren Oliver does a really good job with it here, so I don't mind it so much, but I think it might have been even better in past. Oliver also rather overuses the word "winged," all figuratively. Otherwise, the writing was really good: powerful and smooth and absorbing. GREAT opening. Great voice of the heroine who looks forward to the cure, who buys into all the lies about love. Until she starts to see the truth. The book is heavy on the romance—maybe not everyone's cup of tea—but though I'm not a huge romance reader, I loved it. I felt everything right along with Lena, and that's not something that happens with every book. Their love is passionate: heart and soul and body, and a little on the obsessive side, but to me it wasn't so much in the creepy obsessive way, but more in the way of someone who's been repressed by the system finally finding truth and freedom and letting go. Alex is a little too perfect to be real, but so is Mr. Knightly in Emma, and Jane Austen has certainly passed the test of time. 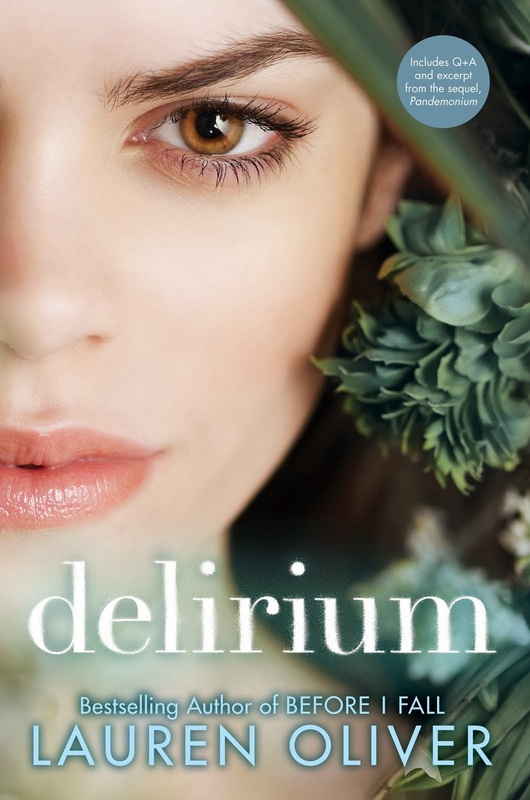 Delirium has great tension, delirious love, good politics, a scary possible future, and intriguing ethical issues. The ending is heart-thumping and sad, yet satisfying. It could stand alone, but I totally want to read the next one. 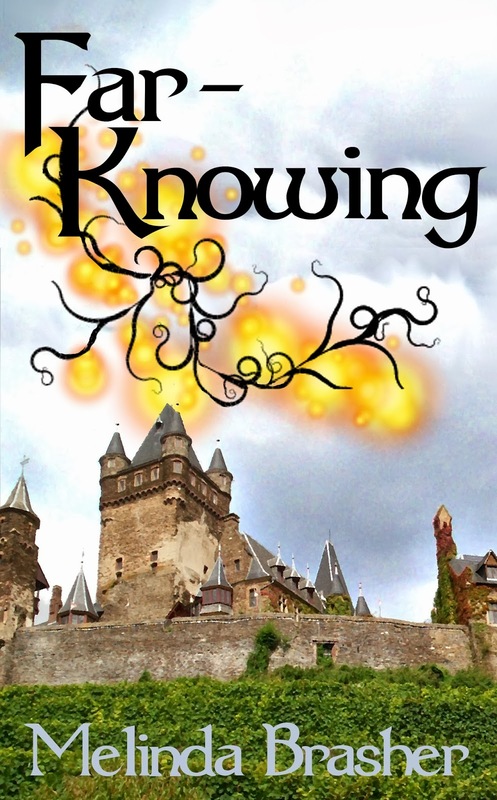 Oliver weaves great themes and refrains and symbols through the story from beginning to end. The quotes at the beginnings of the chapters are powerful and creepy, not the sort of thing I wanted to skip over, as I usually do with that particular device. There may be some plot and world-building improbabilities, but I was so caught up in the story that I didn't care. Great job, Lauren Oliver. What happens when we die? Is it the end of everything? Or another beginning? What about coincidences? What are they really? Perhaps there is more. Perhaps everything depends upon your perception. Greg has lost a wife and Rachel, her young son. 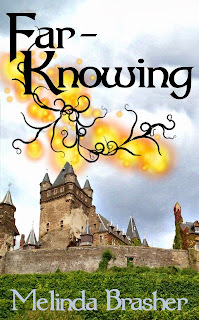 Both find answers where they never expected and in the process they find so much more. I love books that both entertain me and make me think. Perception succeeded. I really enjoyed the information about psychic phenomena, and the questions posed about coincidence, doubt, perception, and life after death. Unlike some books taking on big topics like this, the characters remain center stage, instead of serving as a backdrop for philosophy. I liked all the main characters, and got drawn into their stories: their heartaches, their uncertainties, and their possibilities of happy endings. Quarles' writing is pretty smooth, though it has its idiosyncrasies. There are a few small tense issues, like when Quarles sticks unnaturally to past simple when some of the other past tenses in a writer's arsenal would serve better. I also find it odd that most or all of her characters, from different regions of the US and different walks of life, use the construction "I've a dog" instead of the much more common American "I've got a dog" or "I have a dog." However, the writing overall is clear, with some very powerful passages. Her depiction of Greg's and Rachel's grief in the beginning is exceptional. Raw and realistic and compelling. The story moves along at a good pace, following three sets of characters. It's never a drag to return to one set of characters, like it often is in stories told this way. Part of this might be the way we know they are all going to come together in the end, and we want to see how it happens. The ending of the novel is pitch perfect. Perception, by D. Jean Quarles, made me wonder about certain experiences in my own life, which makes it the type of book you don't just forget. With its lovable characters and fascinating details about the psychic world, Perception is an enjoyable and thought-provoking read. Q.) Perception deals with the psychic world and messages from the dead. What kind of research did you do on psychic phenomena? A.) I absolutely loved the research I did for Perception! Previous to writing perception, I edited a non-fiction biography of a woman spiritualist. Her story intrigued me and even though a number of years had passed, when the idea for Perceptioncame, I found myself drawing on some of the information she'd imparted for her book. I also read a number of books by authors exploring everything from life after death to those related to psychic phenomena. In my research, I found that spiritualism as a religion was still practiced. I became even more excited when I learned that a congregation met close to my home in Arizona. There are actually a number of churches and they tend to have services very similar to what I described inPerception. Finally, my research led me to a number of conferences and seminars relating to life after death where psychic demonstrations were commonplace. Q.) Have you or anyone you know had contact with spirits of loved ones who have passed on? A.) I had just completed the first draft of Perception when my mother passed. Suddenly I found myself surrounded by butterflies. They seemed to follow me everywhere. I'd drive down the interstate and turn my head and see bushes filled with orange and black, or they would flutter around my head getting my attention when I sat outside in the hammock. Also, butterflies came in other strange ways. My father sent me a package of jewelry. One entire small box was filled with butterfly pins I'd never seen before. A woman I knew sent me a photograph of orange flowers, and a white butterfly was caught in the background. I was finishing the final edits when my father passed. He died at home, as he'd wished. My brothers and I stayed for several weeks, settling the estate. One evening late at night, long after everyone else had retired, I sat alone with the television on. I rose and turned it off, leaving the room to go into the kitchen. Moments later the television turned back on. In fact, each evening, one of us saw some display that could not be explained - lights flickered, came on, went off, radios played, and breezes blew through closed windows. Because of the topic of my book, I've also had a number of people contact me telling me of their own similar experiences. The best conversation though occurred with my daughter. Her family had lost a beloved pet. Her son asked if they would ever see him again? Her response surprised me. "Of course you will, just like we see Grandma and Grandpa all the time, we'll see Cider." They then proceeded to discuss how their beloved dog would reincarnate. After, I had to ask, apparently my parents often visited my daughter's home. Q.) You wrote Perception from the point of view of different characters. Who was your favorite to write? A.) When writing, I like to find myself in different character's heads. With Perception, Eileen, the grandmother of a young psychic child allowed me to explore how it would feel to have a child you wanted to protect, but at the same time, nurture - a child who some would say had a gift and others would feel was touched. It was a perspective that challenged me as a parent and grandparent. I gave her a lot of thought. When I was young, a sweet lady from London lived across the street and thought speaking to the dead was absolutely normal when my best friend, her daughter, did it. I never had the feeling my own family would have been so accepting. Q.) What other books do you have out? Tell us about them. A.) For a number of years I lived in Wyoming. There is something special about living in an area where most American cities have a greater population than the entire state. I wrote Rocky's Mountains and Fire in the Hole to showcase the wildness and hardship that can be found in Wyoming. I also am working with co-author, Austine Etcheverry, on a young adult science fiction series titled The Exodus. It begins in Wyoming with a number of high school students and a catastrophic earthquake caused by alien beings. The first book, Flight from the Water Planet, was just joined by the second book, House of Glass released this month. Our Secret Lives, the story of three generations of women is in the final stages of edits and should be out before the end of this year. Q.) What writing plans do you have for the future? A.) I am currently working on a novel about reincarnation. This one allows me to be in the head of one person, so to speak, but multiple lifetimes and genders. We have also started writing the third book in The Exodus series which mostly takes place on a planet far away and means creating a new world. Q.) Do you have any recommendations of other books your readers might enjoy? I hope Perception leaves readers thinking. Another great read that leaves you thinking about your life here and the one hereafter is A Brief History of the Dead. Q.) Where can fans contact you? A.) My blog, A Write Life can be found at djeanquarles.blogspot.com. You can also find me on Facebook: https://www.facebook.com/djean.quarles. 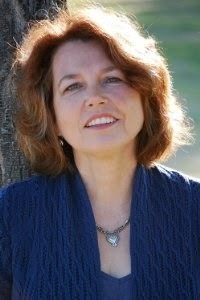 I am a GoodReads and Amazon.com author and my books can be found for both Kindle and Nook. Thank you Melinda for the opportunity to share this with your readers. I would love to hear their stories. With the increasing popularity of e-books, and with some books now only available in digital format, if you don't have an e-reader, you may feel out of the loop. You don’t have to. Kindles, Nooks, and other e-readers (like Sony e-reader, Kobo, etc) are great devices. However, there are various ways to read e-books without them. Here are three options. 3) Find the book and click "buy now." You'll have to provide credit card info if you haven't already. 4) After the transaction goes through, click "read now." It'll open the book in a cloud reader, which works a lot like a Kindle. Being on the cloud means that it's out there in cyber space, not on your actual computer. You can read it from any internet computer. 5) To get back to it later, sign in to your account on Amazon, double-click on "Account and Lists," currently near the top right corner by your user name. Scroll down to the Digital Content section. Click on "Content and Devices." 6) Find the book you want to read, and right next to the title, under the "actions" column, choose "read now." If you later buy a Kindle, you can deliver it to your Kindle. There are various free programs that can basically turn your computer into an e-reader. One easy option is Adobe Digital Editions Home, which works with e-books from Barnes and Noble and many other e-book sellers. 2) Choose windows or mac, and follow the download instructions. Once it installs, you're ready to start downloading e-books. 3) Go to BarnesandNoble.com and find the book you want to download. 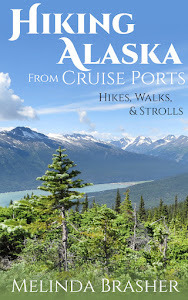 Be sure to choose the Nook Book (e-book) version and click "Buy now." 4) If you don't have a Barnes and Noble account, you'll have to sign up for one, including your credit card information. Follow the directions there. 5) Once you've bought it, go to your Nook Library and click "Download." 6) Click on the downloaded file. It should open in the Digital Editions program you just installed. In my version, you then have to click "add to library" if you want to have easy access to it later. You can easily bookmark your place and come back to it later. 8) On my computer, you can access your library later from a "My Digital Editions" folder in "My Documents." If it's an independently published book, and the author has put it on smashwords.com, there's another option: a PDF download. PDFs work on most computers without much trouble, without having to download any special program, but they have fewer book reading options, like convenient bookmarking and easy font size manipulation. 2) In the search box, type the author of book title and click the search button. 3) Find the correct book and click on it. Then click "Add to cart." 4) It'll prompt you to log in. If you're not already a user, you'll have to make yourself an account and give them your credit card information, just as you would on Amazon or Barnes and Noble. No internet transaction is completely safe, of course, but this is an established site used by many people. 5) Once you've set up your account, proceed to checkout or click "download." 8) When the PDF opens (you may have to click on a box somewhere, like the bottom left corner, depending on your operating system), save it somewhere convenient on your computer. One way to do this is the "save a copy" command under "file." It may give you a message about how you can't save changes. Click okay.